I was raised in Superkid Academy. I grew up in Emic and Kcm. My family still works there to this day. I was blessed to have soaked up so much of the word and to be able to teach our children. I am a Partner with KCM. On August 7, 2016, I specifically sowed a seed into this ministry for cancellation of a debt. Watch Maureen Brown tell how God’s love totally changed her and brought her into a life of peace and success as a vocal and dance coach. When Jill West arrived where her husband, Don, had been found dead and slumped over the steering wheel of his truck, she boldly declared to his lifeless body: "You will live and not die!" Praise God for His protection over my daughter-in-law and her friend. While she was driving on the road in Colorado, she hit a deer. What George and Jeremy Pearsons have been saying recently on BVOV about getting out of debt has had a profound effect on our lives. by Gennean C., Sunnyvale, Calif.
My husband just paid off $40,000 of student loans with an unexpected stock cash out from one of his former companies. Ten years later from his work, the Word is fulfilled! 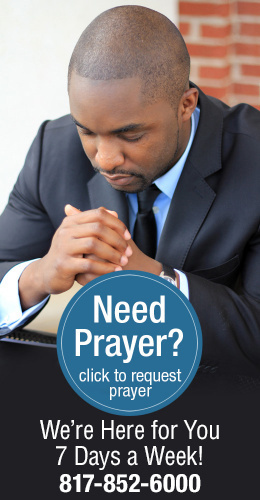 After experiencing pain in my right hip for months, I called KCM for prayer. The minister who prayed with me was awesome, and glory be to God, all my pain has left. This week I felt very bad. I was thrown from fever to shiver, and I felt weak.